CaptainLazerGuns had the most liked content! Hong Kong Disneyland Resort is probably the best for young families in my opinion. I know you've both been, but I think with kids it'd be new again. A couple of pros: The park is basically never crowded but still has all of the magic that you expect from Disney. The resorts are within walking distance / very short shuttle trip so you can rest during the day without missing anything. You don't need to wait long for shows, entertainment and parades so you don't really need to worry about the kids getting restless. Character meet and greet experiences aren't insane so you've always got the opportunity to meet the fan favourites. Flights from Australia are SUPER cheap if you can score a good deal. If anybody asks me this same question, I always direct them to Hong Kong Disneyland. Absolutely agree. One of my favourite shirts is a Sea World 'corporate' Polo I bought from there a couple years back. It's a very similar design to their Village Roadshow workers uniform which is strange but I really like it. I'd love to see attraction specific Polo's in the same corporate style. Overall though I don't mind Australian theme park merchandise. It's understandable that they they're not willing to take a risk on expensive & exclusive merchandise like you see at Disneyland ($100 attraction specific spirit jerseys for example.) but what they offer still allows you to take a little piece of the park home with you. The show seems to be well received by the general public. I've been Dreamworld about five times in the last couple of years and I actually never got A chance to ride Wipeout. It was either closed unexpectedly or under refurbishment. In all honesty, am I missing out? It was mentioned earlier, but California Screamin (or sadly, Incredi-coaster) does a great job with their scream shields. I'd like to do a see larger roller coaster put into Luna Park to help put it on the map. Okay, noted. I got caught up in the emotion of this thread and I apologise if I've come across as rash and rude. @Richard I highly respect the work you do for the Australian theme park community and I'm disappointed in myself for letting emotions get the better of me instead of furthering the discussion that you've striven to create. I was frustrated at the stance many people take towards Dreamworld. It's entirely justified and fair that people have this stance because they genuinely haven't shown any interest in improving their property outside empty promises. However, I have a personal attachment towards that park and you could say it makes me bias. It's not my responsibility to help people think of Dreamworld in a different light and I'll leave that to their PR team. Even though this community can sometimes seem like the front lines of a war zone, I know that there are genuine individuals willing to further add to the discussion and excel the conversation. If there are any stances or points that you don't agree with that I haven't provided a sufficient response to just let me know and I'll clear it up. I realise that this thread will probably show me in a certain light. I won't take back what I've said, but I will learn from it. Patiently waiting with your big stick? I appreciate your response @joz. I'll throw my opinions out there to help further the discussion and get the debate going. I'm always happy to be proven wrong, even though I can be rather stubborn on my stances. @AlexB Thank you for respecting my stance and opinions. In regards to your final comment, I think I know where it comes from. Many opinions on here aren't debated, they're attacked. I'm happy to have a discussion but in response to @Richard questioning why I haven't provided a rebuttal to some arguments it's because my words are picked apart and dissected to consistently keep me on the back foot and that doesn't constitute discussion in my opinion. A lot of people don't have the patience to deal with that sort of behaviour and you end up with a community full of twitchy people with big sticks ready to whack whatever comes into sight. I could respond in gifs, short sentences and 'lists' that entirely focus on one side of the argument but language was invented for a reason and I choose to use it. I think I've confused everyone by mixing up my wording on one-off and temporary. One-off, as in unique attractions, are excellent especially for a parks identity. One-off, as in temporary attractions, are not welcome in world class parks in my opinion. Sorry for the mishap! Citation needed. Though I agree with most the rest of what you say. Well said. More disappointed than anything. This community perpetuates a negativity bias. It lusts for failure and drama. Threads and articles regarding positive outcomes, announcements, and successes are quickly snuffed by negative bickering, snarky remarks and the dismantling of others opinions that don't match the echo chamber. Please, prove me wrong. Sorry, I think I misinterpreted your response. One off rides shouldn't exist in world-class theme parks. Because they could have followed the current expectation of just building a roller coaster that even two years on still gives Movie World praise. We have nothing like this in Australia. We can only blame ourselves and the public for this. We want additions, we want them big and we want them now! 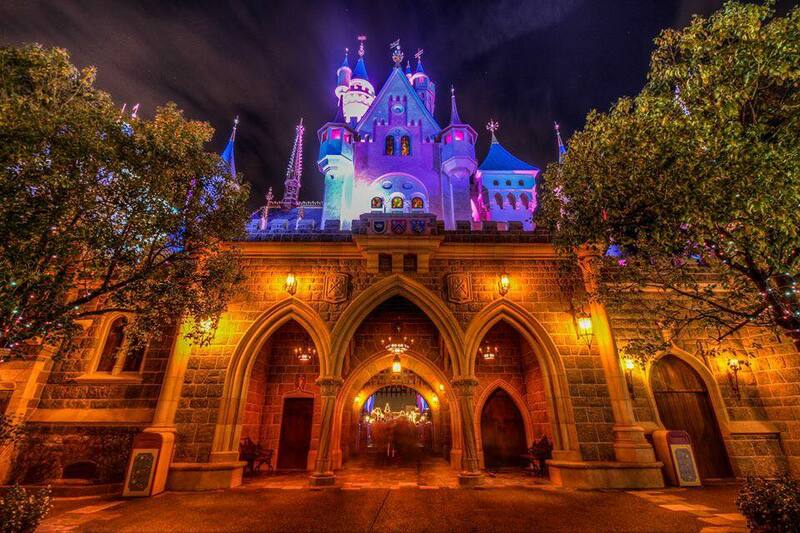 Therefore theme parks go with the safest additions possible for the minimum price and maximum impact. 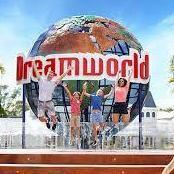 Look at Dreamworld for example. They took a risk with Sky Voyager and they're paying for it. It's been delayed a couple of months and the theme park community doesn't care about the attraction; they just want to see heads roll. Other parks around Australia will look to this an example that if they take a risk that doesn't pan out then it's just not worth it. Put in a multi-million dollar virtual flying theatre that's delayed? Scorned. Chuck a temporary travelling carnival ride in the centre of your theme park? Praised. I guess you're all right. Dreamworld has had a slump in later years and therefore moving forward we should expect the worst from them no matter what they say or do. I will join the enthusiast community in constantly reminding the public of their sins of the past and to further bring us closer to Wonderland Sydney 2.0. I'm not fussed because it'd make a great history video on ReviewTyme.